Walking through a giant caterpillar, visitors are immersed into a world of amazing and beautiful butterflies and moths from around the globe. Lose yourself in the rich variety of species as they delicately flutter around you, seeking out plants on which to feed and rest. ZSL London Zoo’s Butterfly Paradise exhibit features species from several major regions including Africa, South-east Asia and Central and South America. Visitors can learn more about the conservation of this diverse insect group, from species recovery programmes, community-based habitat protection initiatives and climate change issues. 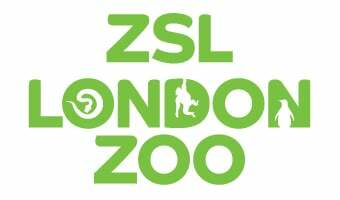 In 1981 ZSL London Zoo created the first exhibit developed exclusively for invertabrates. It featured mainly butterflies and moths - making it the world's first butterfly house! Designed to resemble a giant caterpillar, Butterfly Paradise is a walk-through tropical haven, carefully planted and heated to a balmy 27 degrees to provide the perfect habitat for the beautiful invertebrates, which fly freely overhead in the exotic environment. Butterfly Paradise itself was launched in May 2006 and it showcases a vast array of butterfly species in a carefully created ‘walk though’ environment, offering visitors the opportunity to learn more about life cycles, biodiversity and climate change. Hundreds of butterflies have been chosen to represent 100,000 species that exist on the planet. All butterflies are forest-species from the shrinking tropics of South-East Asia, Central and South America and East Africa. One of the most interesting aspects of Butterfly Paradise is the ever changing environment that is obvious not only in the development of the flora and fauna, but also in that it illustrates the entire lifecycle of a butterfly. Alongside the free flying butterflies in the exhibit, there is also a pupae holding room where visitors can see a vast array of beautiful pupae develop and butterflies eventually emerge. ZSL London Zoo breeds some species, but most do arrive as pupae, from butterfly farms in native areas. It gives community business a sustainable income that does not do further damage to the forests. Highlights to look out for include tiny butterfly eggs, giant caterpillars and butterfly feeding stations. Book your tickets now for a really great day out that makes a real difference! Butterflies and moths go through several different stages in their lives, and each stage appears remarkably different and fascinating. They start their lives as a small egg attached to a plant - often on the leaf - by glue that was produced from the adult butterfly as it laid an egg. When it is ready, the egg hatches out into a caterpillar, or larvae, which then proceeds to eat as much as possible. It often grows several times its original size and sheds its skin to do just that. When it is fully gown, the caterpillar will fix itself to somewhere, again often the underside of a leaf or branch, and shed its final skin to reveal a pupae or chrysalis. Moth caterpillars actually spin a cocoon using a leaf, in which the pupae then develops. Over a period of time - which will depend on the species of butterfly or moth - the pupae undergoes an incredible change known as metamorphosis, where it gradually develops wings and turns into a beautiful insect, finally emerging, ready to find mates and start the whole process again. You can see all the different lifestages in the Butterfly Paradise at ZSL London Zoo. Our expert butterfly keeper Mark Tansley takes you through the Atlas Moth lifecycle in the video below. Find out more about butterfly conservation. The beautiful array of colours displayed by a butterfly is in vast contrast to the dull ones owned by a moth. But there is more to each than first meets the eye. The silkmoths, such as the Atlas moths, do all their eating when caterpillars, so the adults do not even have mouthparts and live only a week or two. Many have a 'frenulum' or filament arising from the hindwing that couples with barbs on the forewing, that butterflies lack. Learn all about the amazing life cycles of butterflies. Few of us actually know anything about butterflies, despite the fact there are more than 160,000 species in the world. Learn a little more about these insects. Butterflies have six jointed legs, a pair of antennae and three body parts called a head, thorax (chest), and abdomen (tail end). The four wings and the six legs of a butterfly are attached to its thorax. They have four brightly coloured and patterned wings, covered in tiny scales and are the only insects with scaly wings. Each scale on a butterfly’s wing is a single colour, either red, yellow, black or white. Other colours, including green and blue, are created by light refracting (bending) on the butterfly’s wings. The patterns and colours on a butterfly wings are symmetrical and as the butterfly grows older, its wings fade and become ragged. Most butterflies feed on nectar from flowers and many plants rely on butterflies to transfer pollen from one flower to another. Butterflies transform themselves four times in their life. This process is called metamorphosis. A butterfly begins its life as an egg, usually laid on a leaf. A larva (caterpillar) hatches from the egg and feeds on leaves or flowers. The larva will grow bigger and bigger until it is several thousand times its original size before turning into a pupae or chrysalis. Eventually a beautiful, butterfly emerges from the pupae. Many pupae avoid being eaten by looking either like a dead leaf, fruit or twig. Pupae are vulnerable to predators such as birds, lizards and snakes, as they can not move or defend themselves. By resembling things found in nature they reduce their chance of being discovered and predated on. Some can even look like bird droppings! The Atlas Moth emerges from its pupae without mouthparts, leaving its soul purpose in life to find a mate and reproduce. It has 6 weeks in which to do this, living on the energy it stored as a caterpillar. The North American black and orange Monarch Butterfly is the only insect known to be able to fly over 2500 miles. Millions of butterflies migrate south to overwinter and avoid the freezing conditions of the north, but as the plant that the caterpillars feed on, milkweed, does not exist in the overwintering sites, the spring generation fly back north for summer before laying their eggs and dying. Special sensors on a butterfly or moths' feet allow the insect to taste their food. They can not taste through their mouthparts. They also do not have mouthparts that can bite and chew, instead they have a long thin tubular structure that acts like a straw. The Monarch Butterfly is poisonous to eat! There is more to each than first meets the eye. The plants within Butterfly Paradise took a lot of careful planning as they provide not only a beautiful backdrop to this amazing experience but, more importantly, both nectar and breeding areas for the butterfly and larvae. In order to get the planting just right the Invertebrate team worked very closely with the Horticultural department at ZSL, who not only supplied a vast amount of specialist knowledge about how plants interact with butterflies, but also did all the actual sourcing and storage until the exhibit was ready for planting. One of the most interesting aspects of Butterfly Paradise is the ever changing environment that is obvious not only in the development of the flora and fauna, but also in that it illustrates the entire life cycle of a butterfly.With each visit to Butterfly Paradise you are sure to see an ever changing backdrop of plants as they grow and develop. Some of the butterflies and moths you see in Butterfly Paradise have been reared in the giant caterpillar itself but many of them have travelled over from places such as Africa or Brazil as pupae from rural community butterfly farms. Across their range in developing countries, butterflies are threatened due to loss of habitat as pressure for natural resources and land intensifies. More than 160,000 species of butterflies and moths are currently known to exist in the world, and more are thought to be awaiting discovery. However, these groups of insects are threatened across the world by climate change, changes in land-use and farming practices and habitat loss. In the UK, 70% of our native species are in rapid decline and of the 59 British butterfly species, five have become extinct in the last 150 years. Of the four such butterfly species in the UK, two have recently expanded their ranges. One of these, the Brown Argus, was previously largely restricted to areas of common Rockrose habitat, but has shown a range expansion of more than 100 km in less than 30 years into a wider variety of habitats in eastern England. In London alone habitat loss has resulted in quite a drastic population decline as wasteland is redeveloped and wild flowers, buddleia and nettles disappear. Careful planting around the outside of the exhibit aims to attract native species to the surrounding area.